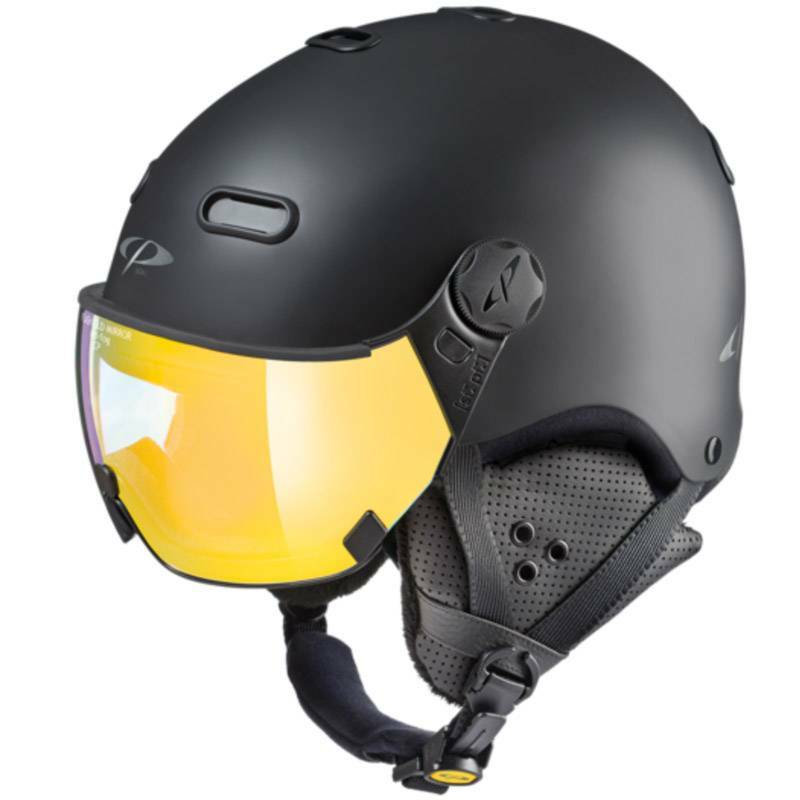 CP visor ski helmets have everything you could want in a ski helmet sophisticated style, uncompromised comfort and amazing vision in all kinds of weather and ski conditions. 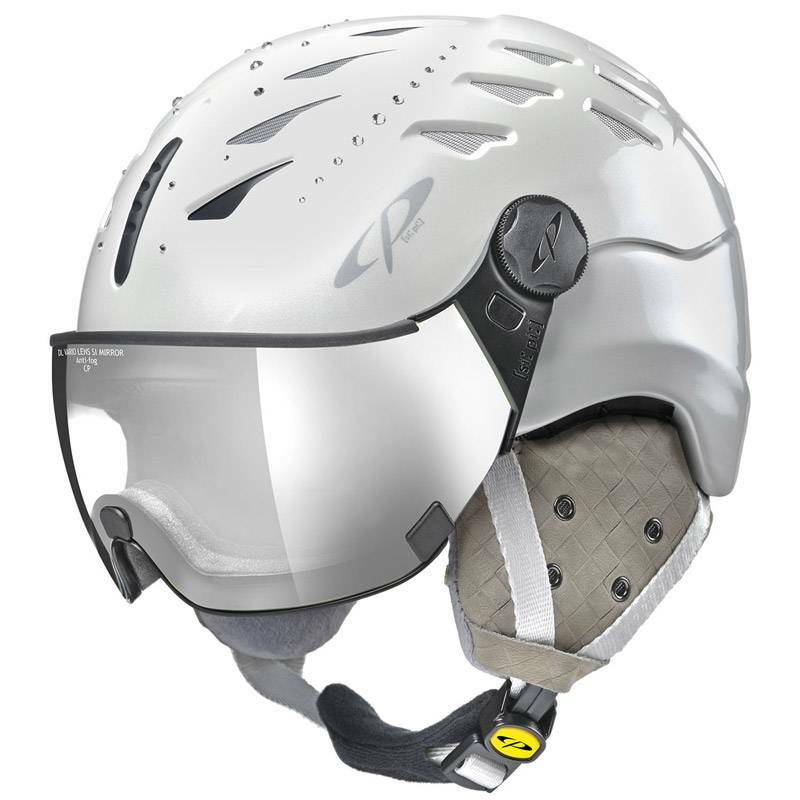 This design of the CP All In One ski helmet makes a real statement with its simple elegance and form that follows function. 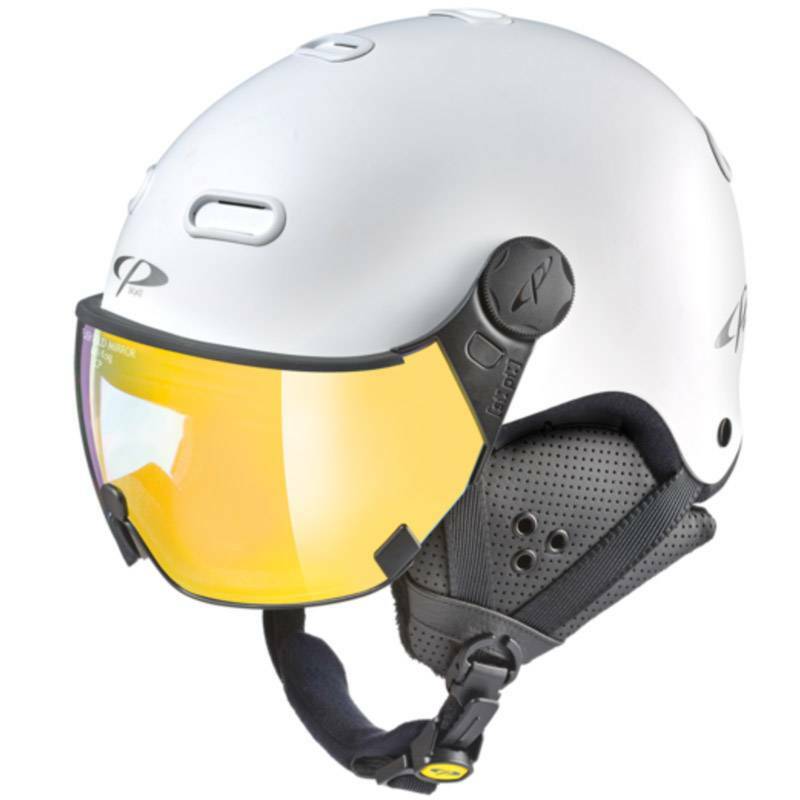 This All In One ski helmet stands out with its timeless shape clean lines and a design where every detail has been considered and the functionality has been thoughtfully addressed. 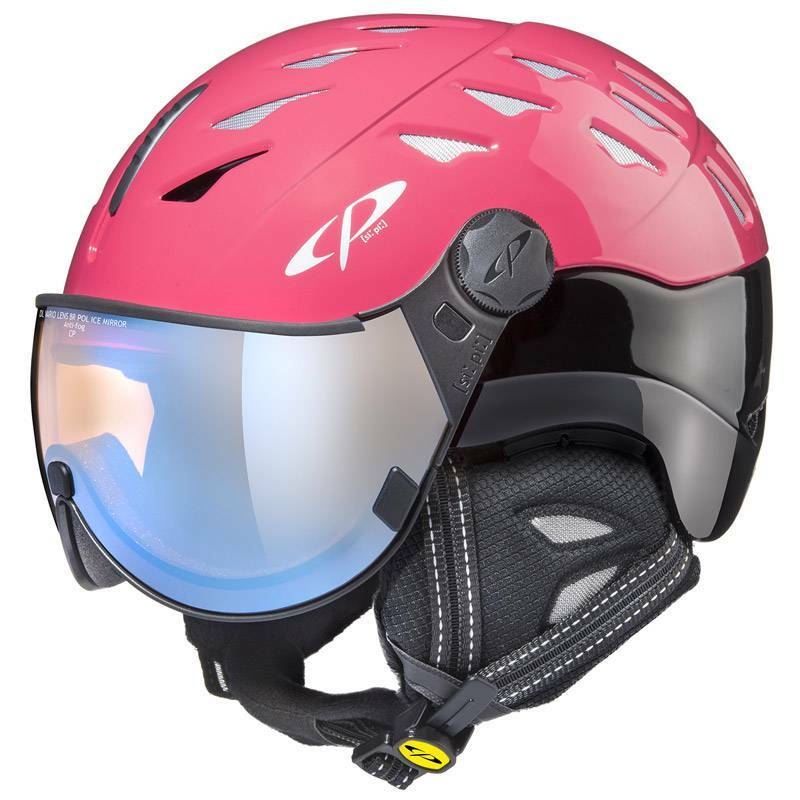 This Swiss attention to detail is what makes the CP Visor Ski Helmet the perfect ski helmet for women and men who want to enjoy better vision while skiing, more comfort in a helmet and the versatility of these helmets. Thanks to the use of Carbon Fiber CP helmets are ultra-light and make absolutely no compromises when it comes to functionality. 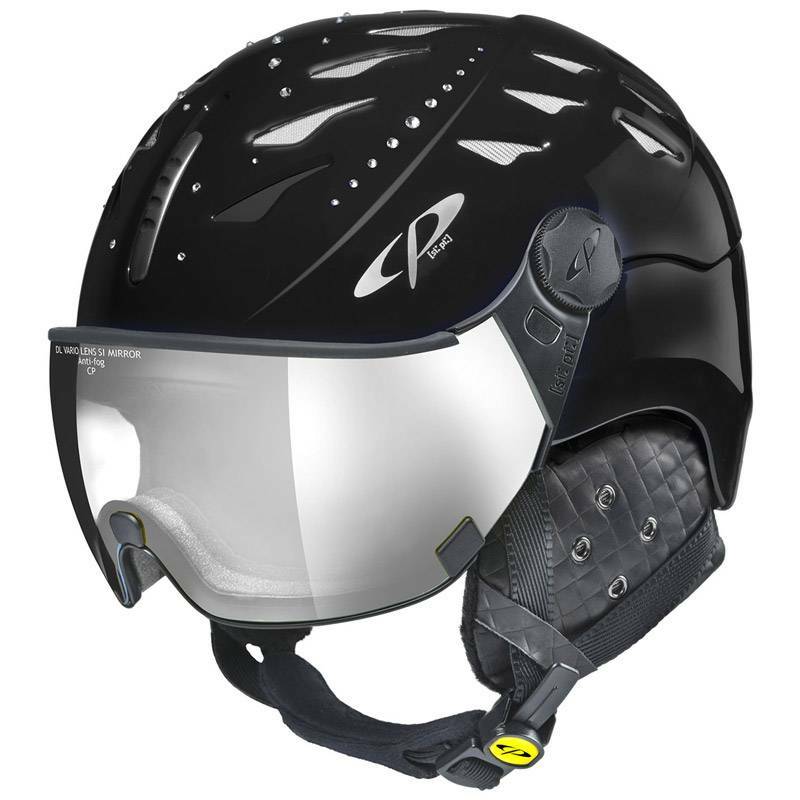 With integral features such as the adjustable ski helmet ventilation system developed by CP you are guaranteed the ability to control your comfort at all times. 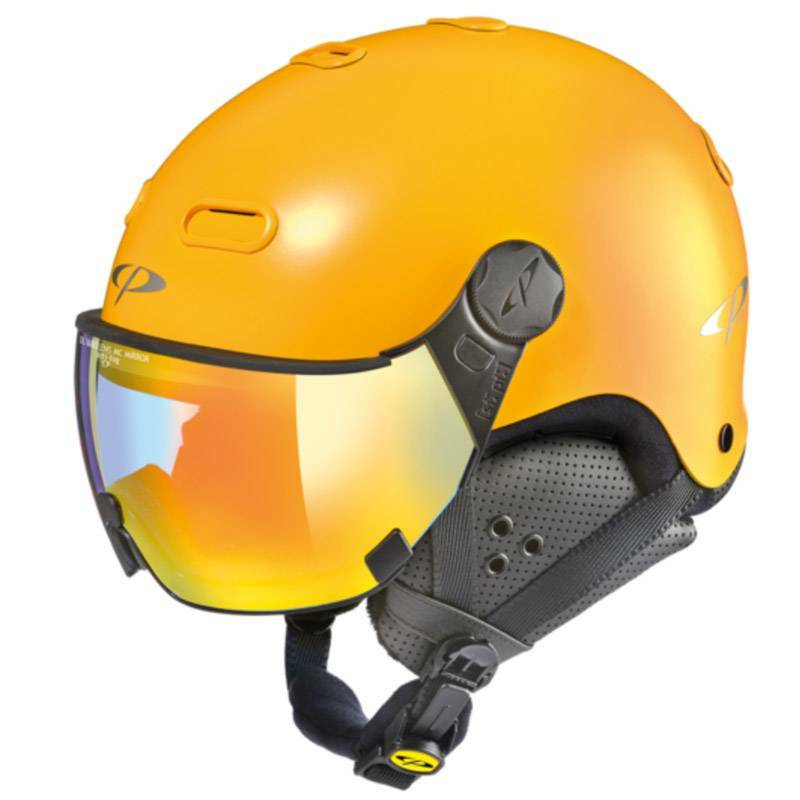 This helmet is versatile to ski in mid winter cold to sunny spring skiing. 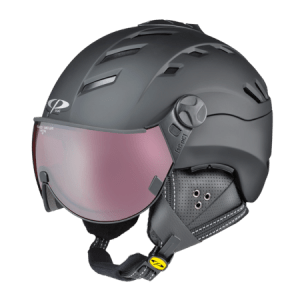 This CP ventilation system is a combination of active ventilation through the vents and a breathable CP-TEX function membrane in the helmet that helps control temperature. This revolutionary climate control system provides optimal protection against wind, cold and damp whilst absorbing moisture inside the helmet. This ability to control the environment in the helmet prevents misted visors something that can ruin a day of skiing with traditional goggles. For skiers who wear glasses the visor ski helmet will revolutionize their skiing experience. The visor creates a comfortable space for your glasses as opposed to goggles that can press them against your face. And in the case of a crash the stability of the visor provides more protection than soft shelled goggles. The ventilation system of the all in one ski helmet also prevents glasses from fogging so you can see clearly no matter how hard you are skiing. 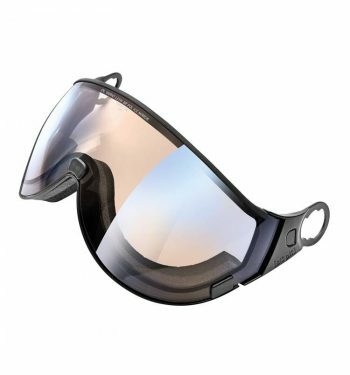 The CP is also an ideal ski helmet for spectacle wearers as it provides plenty of room for every type of spectacles underneath the closed visor. Another benefit of the visor ski helmet for skiers who like hike to terrain is the ease of flipping up the visor and letting your face breath. With traditional goggles if you try to sit them on top of your helmet they can slide down and smack you in your eyes, or slide off the back and dangle from the back of your helmet. With the visor ski helmet it is a matter of simply flipping up the visor and being on your way. The CP All In One ski helmets come with one high quality and you can choose from up to 16 other visors depending on your helmet model. The CP visors are at the cutting edge of innovation and quality. Rest assured the visors can all be easily switched without any tools. Learn more about our ski helmet visors here. 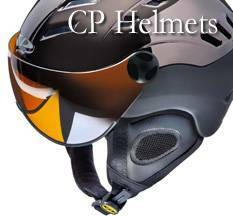 CP helmets feature removable earpads that can be taken in our out in a snap. They provide reliable protection against cold, wind, and rain with heir sophisticated design. They also allow you to hear clearly while skiing so you can be more in tune with the environment around you. 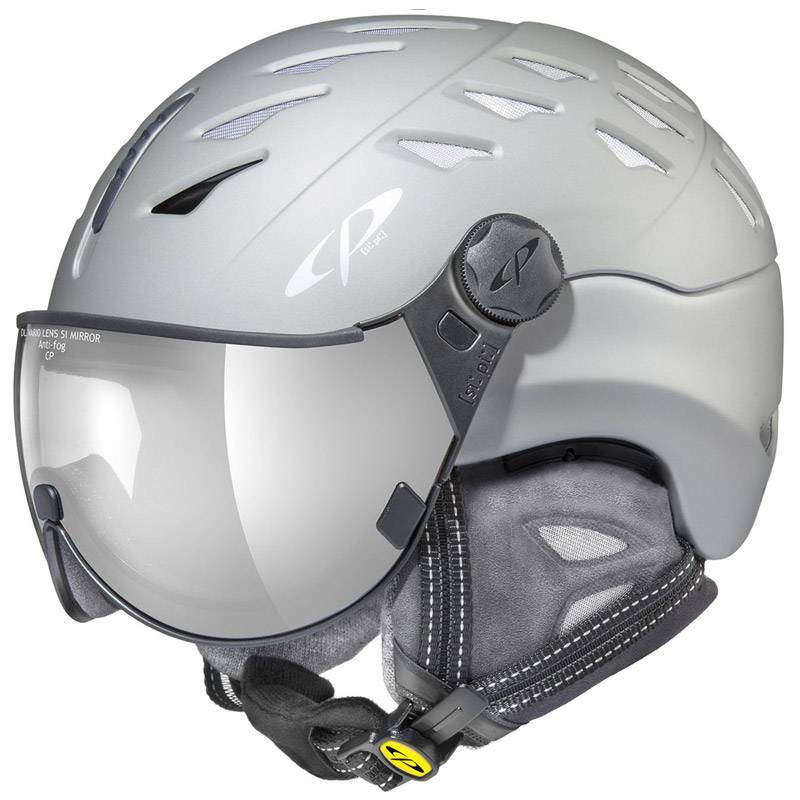 CP all-in-one ski helmet comes in a variety sizes but also offer their unique size adapting system that allows you to dial in the fit perfectly to your head. The system can be controlled with a single control knob on the back of the helmet that is so well designed it can be controlled with gloves on. 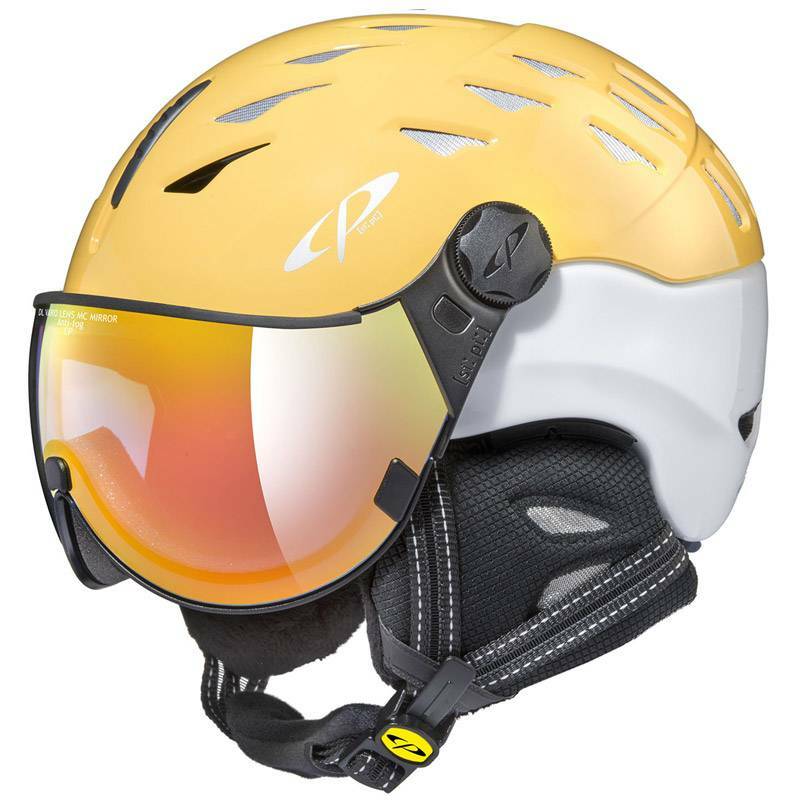 If you are ready to revolutionize your skiing order your CP Visor Ski Helmet here. 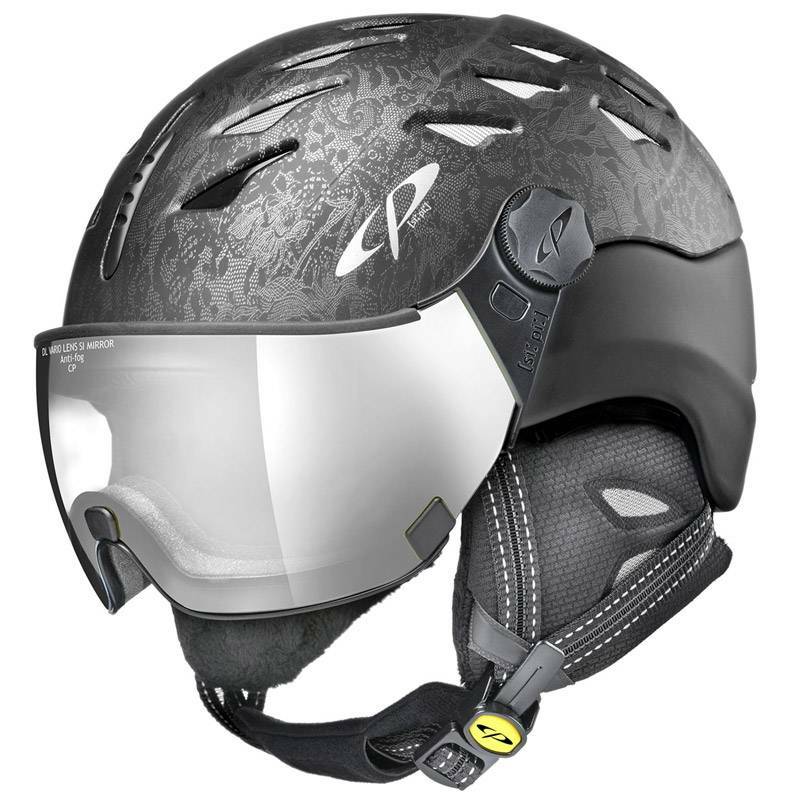 We also have a limited number of All In One Ski Helmets on sale here.